How is FDA Surveillance Keeping Pace with FSMA Changes? Proposed rules under the Food Safety Modernization Act will mandate more inspections, more testing, and better risk-based profiling of food products – both sourced domestically and imported. How is FDA planning to keep pace with these changes? 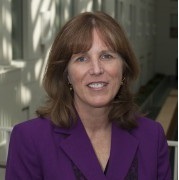 Roberta Wagner, Director, Office of Compliance, for the Center for Food Safety and Applied Nutrition at FDA, provided some insights, while speaking at the recent Food Safety Consortium, organized by Food Safety Tech. Food safety culture of the facility/ company. Under FSMA, FDA has also been mandated to increase the number of inspections the agency does on foreign facilities, to ensure the safety of imported foods. Wagner explained that FDA currently conducts about 1200 foreign facility inspections a year to determine if those facilities meed FDA regulations. With FSMA rules, FDA will have increased authority to conduct such inspections of foreign faciligies, and look at Foreign Supplier Verification Programs, and Voluntary Qualified Importer Program records, adds Wagner. Under the new regimen, FDA has been mandated to conduct at least 600 foreign inspections during the first year of FSMA rule implementation. And the target is to double this number every year, for the next five years, taking it to 19,200 inspections by Year 6. Wagner feels this is an impractical number as FDA does not have the resources to do so many foreign inspections. “If we get the Foreign Supplier Verification Program under FSMA rule right, we effectively place the responsibility for ensuring safety of imported foods on the food industry and importers. FDA cannot, and should not be doing this,” she explains. Portion of resources retained by the facility for compliance, follow up inspections and emergency response situations. Based on this FDA will continue to diversify the product that it considers high risk, for instance dairy, baby food, candy… Wagner added that economically motivated adulterated continues to be a concern and cause for focus on food products such as oils, honey and dietary supplements. Wagner also talked about Predictive Risk-based Evaluation for Dynamic Import Compliance Targeting or PREDICT, a risk management tool used by FDA to efficiently and effectively make entry admissibility, decisions that prevent entry of adulterated, mis-branded or otherwise violative imported goods into the U.S., while expediting the entry of non-violative goods. Based on risk scores allocated to different products, this computerized tool targets entries of highest risk for further scrutiny, including field reviews and sampling. She explained that this dynamic tool, which constantly adapts to different risk situations and products, provides automatic data mining and pattern recognition, provides automated queries of FDA databases including facility registration information, and thus, allows for risk-based allocation of FDA resources.